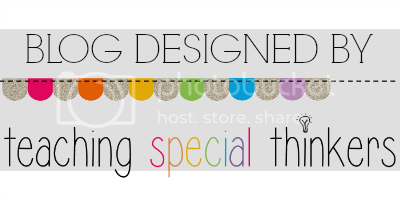 Hello Special Sparkle Readers! Lisa here! Many of our regular authors are off on fabulous vacation adventures during their final weeks of summer before school starts. Please welcome our guest blogger Pam! The student simply has to find his/her name, take the shape next to his/her name and find the matching center. 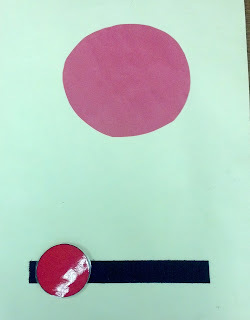 Once at the center, the student velcros his/her shape onto the large center card and completes the activity that is at that area. 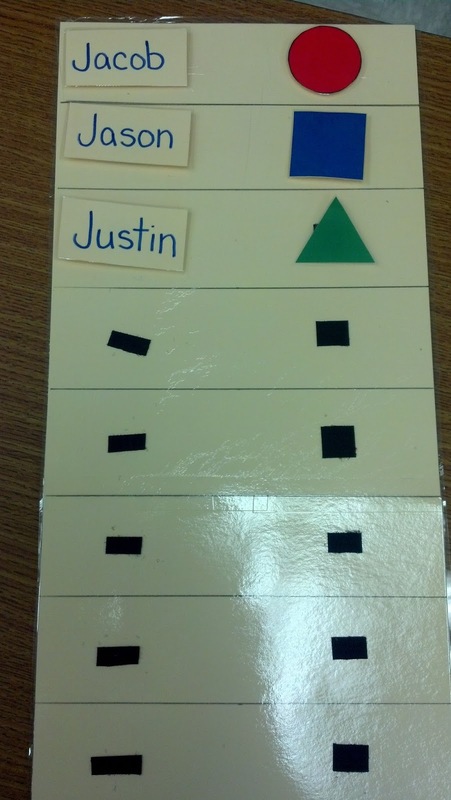 Gives more opportunities for students to practice reading and discriminating their name. 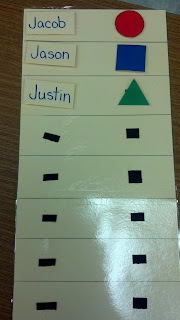 Incorporates shape identification and matching skills. Is reusable and expandable. I always have an extra row on the main board in case I get a new student mid-year. I can quickly add them to the centers system. There is limited need to remake anything year to year, so it saves you time and materials! Students are able to become independent in finding their center. You are able to mix things up and change where centers are located. Many of my students have a hard time dealing with change. This is a great way to teach flexibility....by not always having the listening center in the back of the room, the big book at the carpet, etc. You can read more about this and more topics on my blog Mrs. P's Specialties. Download the materials needed for creating the Centers Match Up System by click HERE.